In 2016, the UNDP Innovation Facility collaborated with the newly engaged UN Behavioural Science Advisor to work on behaviorally-informed design with 8 UNDP Country Offices in all 5 regions: Bangladesh, Cameroon, China, Ecuador, Jordan, Moldova, Montenegro and Papua New Guinea. 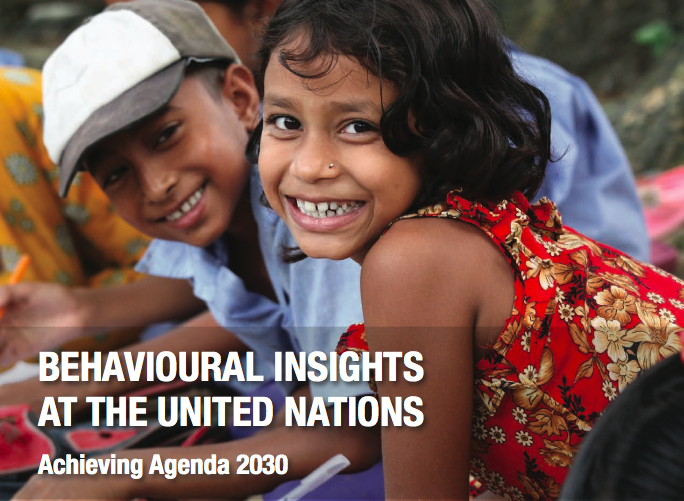 This Progress Report highlights the potential of behavioural insights to help achieve the Sustainable Development Goals and provides an overview of the 8 initiatives. Behavioural insights draw from research findings from psychology, economics and neuroscience. These insights about how people make decisions matter for development. They matter for policy-formulation and addressing last mile problems. The report shows that approaching development challenges with behavioural insights leads to better diagnoses of problems and to better designed solutions. Public policy and programme officials around the world can achieve better outcomes — often at low or no cost — simply by leveraging our current understanding of human psychology and behaviour.